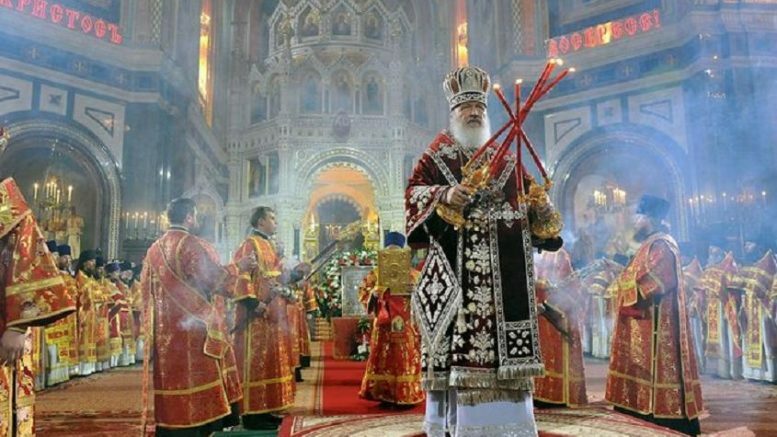 Patriarch Kirill leads an Orthodox Easter celebration. The Russian Orthodox Church has been rapidly growing in political and social influence in Russia. The damage from the 1990′s collapse is real and will prove lasting. But over both the long and short terms Russia’s fertility rate has been noticeably higher than Italy’s. Also, many respondents (40%) were hesitant to answer the question of who was to blame for the demise of the USSR. Even fewer Russians think that it should… This according to a new poll by the Levada Center. The share of Russians who deem economic protests to be possible has grown by a third, from 18 percent in October to 24 percent now. The number of Putin supporters has risen to 65% this year, over 57% last year. Kadryov had previously said he planned to step down, but most analysts saw this as a ploy to force the Kremlin to back him publicly, after a year in which he has faced criticism from many quarters. She replaces a man widely derided for his outspoken loyalty to Putin and reputation as a “Magician” for recording voting results that differed widely from what independent observers documented. Alexei Venediktov, the editor-in-chief of radio station Echo of Moscow, discusses multiple issues in Russia today. Rosneft and other Russian oil producers consequently have plenty of rubles to plow into drilling, setting them apart from U.S. and European companies which have cut back heavily on capital spending to save money. The state of the Russian economy continued to deteriorate in 2015, although the change in key economic indicators was not as dramatic year-on-year. Some regional startups are avoiding Silicon Valley and Moscow, as they take advantage of lower labor costs and a push for made-in-Russia products.